I have 3 cats and they all love this cat food, their fur is always nice and shiny, I have never had a problem with their fur, this is the only cat food they can all agree on. Purina Cat Chow Indoor Formula Dry Cat Food is the brand used by and requested by our local humane shelter. We recently adopted a shelter cat, a sweet girl who is about 4 years old and finally found her forever home! 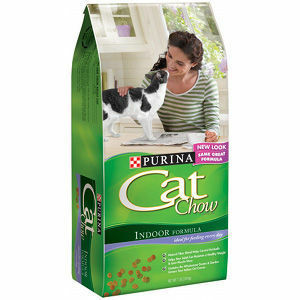 I knew the shelter used Purina Cat Chow Indoor Formula Dry Cat Food from previous donations, but I never knew why. Upon adopting Macie, I asked the ladies at the shelter and was surprised to learn their veterinarian recommends this food. After investigating, I found the indoor blend has 25 essential vitamins and minerals, is effective at controlling hairballs and promotes healthy coat and skin. 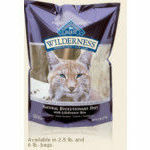 I was pleased to find this is a very affordable food, and my kitty loves it. She is active, healthy and has a beautiful, shiny coat! Purina has been in business over 80 years, and with products like Purina Cat Chow Indoor Formula Dry Cat Food I can see why! Great product, great price! We have switched between several brands but this one seems to be the best for our two cats. Our cats get two scoops per day and the only time we notice them not eating much is when on vacation. They have not had issues such as not liking it, getting sick, etc. 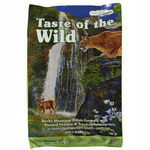 We have tried several flavors within Purina and the cats do not mind. We used Purina for our dog when she was alive. Purina is a good choice for anyone wanting quality food for their pets. Quality of Ingredients Would say that since our cats don't get sick after eating the food, and that they don't refuse to eat, Purina has a good taste and provides all that our cats need for a healthy diet. When we take into the vet every year or so they are found to be fine so would conclude the Purina choice is working. Flavor Selection There are usually several choices when we go to pick up more cat food. Don't know what other flavors I would be looking for as the cats do well with those we do get them. The selection is in line with other brands we see when shopping. 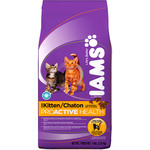 This is the only brand I've found that my cat can tolerate fine without having diarrhea/NASTY smelling poops. I have never once had her cough up a hair ball, or had her be gassy, and she has only gotten sick once but we were gone on vacation and I think she was stressed or ate something else, I don't think it was because of the cat food. She loves the taste and always comes running when she hears me filling her dish. I even had to put her automatic feeder on a shelf where the dog can't reach it because he was emptying it completely as soon as my back was turned! Bottom line, I would definitely recommend it. Good value for money if you get the big bags, and I often see it go on sale or see coupons for it. Quality of Ingredients We have had no problems with sickness, gas, diarrhea, or puking, or hair balls. For me that answers the question of quality! Flavor Selection They don't seem to really have different flavours, but rather different lines. (kitten chow, adult, indoor, hairball control, etc). Still, my cat loves it!! Was disappointed in the overall results. I bought Purina's Indoor formula because I do not allow any of my rescues to be outside and thought this would give them the extra grasses that they miss by not being allowed outside. I found that they seemed to like the flavor okay, and did eat it, but "Whew" when they went to the litter box, did it ever stink! 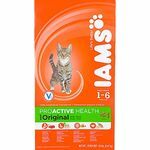 I did find them eating much more of this food than the Purina One variety because this one does not have protein as the main ingredient in it so does not satisfy them for very long, so they eat twice as much. I didn't notice any vomiting with this food as I have with some brands I've bought so that was a plus. The quality of the ingredients is pretty equivalent to most brands so nothing really spectacular there, except for the addition of grass substitutions. Maybe that's what causes their poops to smell so bad. Only comes in one flavor selection for this variety and I haven't noticed that you can buy different size bags. Mostly only 7lb and 16lb depending on where you shop. My daughter also tried this for her cats and had the same bad odor when they used the litter box. There are many bigger and better brands of cat food on the market, however, this is still one that I feed Ms. Kitty often. I have always trusted the Purina brand, and I know that my furry feline is getting a product that she will like and that will also keep her healthy. This cat food is priced right. While some of the other brands cost an arm and a leg, this one remains affordable through and through. It is easy to find also, so you will not have to go out of your way to go to a specialty pet store to pick it up. The choice of flavors is great. You never have to feed the cat the same flavor. Although I am not a cat, I feel like they get tired of the same ole' same ole just like humans. I love knowing that I can switch up Ms. Kitty's food flavors to keep her interested. The downside to the Indoor cat food from Purina is that it does have by products in it. Even with that being said, I still trust that Purina will provide me with a good quality product and keep those extras to a minimal. I have used this food a few time when it's on sale but my three guys aren't that excited about this food overall. For some reason, they seem to throw up a little more often than normal when eating this food. We all know cats throw up when they have hairballs or eat too fast but they just don't seem to really enjoy this food. I'm sure it's good for them but it comes down to interest and they aren't too interested in this food most of the time. As with all cats, it's a personal thing. Your cat may love it. Quality of Ingredients The ingredients are pretty good as my cats are very mature and this food is something I get for a change of pace for them. They are all indoor cats but I would give it a try. People that own cats know how cats tastes can vary from cat to cat a lot. One cat hates something and the other loves it. I would certainly give it a try. Flavor Selection I don't notice a lot of different flavors of this food on the shelves when I do buy it.